The ADC Adscope combines outstanding acoustic performance with rugged durability. The 605 Series combines a diaphragm and bell chestpiece both made from surgical stainless steel. The bell is extra large for unsurpassed low frequency response. The diaphragm is ultra sensitive for greater amplification and crisper high frequency response. The Adscope headset features a reinforcing yoke molded into the flexible 22" PVC tubing. 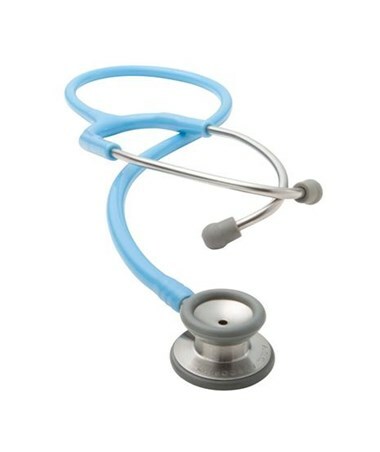 The binarals are stainless steel and fixed at 15 angles for greater comfort. 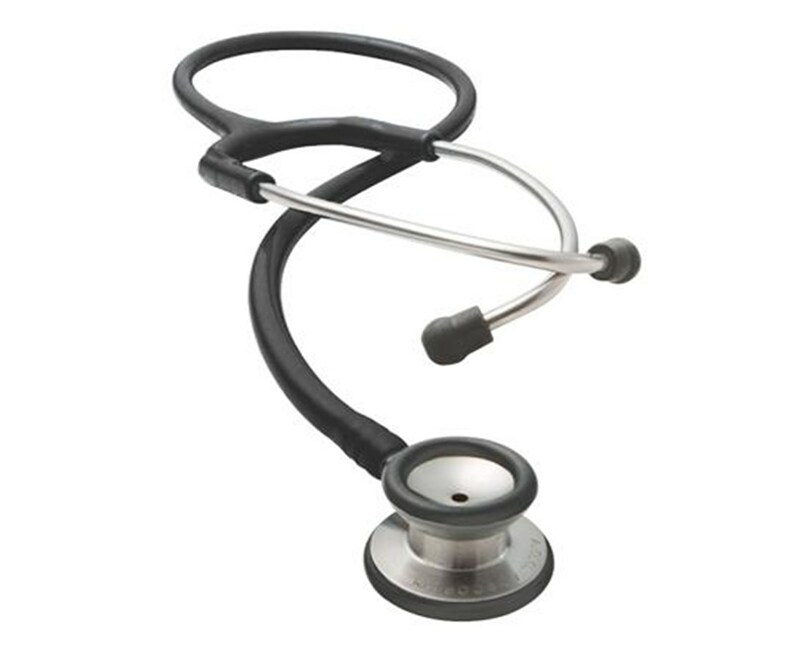 This stethoscope includes an accessory kit with a spare diaphgram, extra Adsoft and standard eartips and a scope ID tag. Lifetime warranty. Adscope 605 comes in a variety of exciting colors. Choose from the drop down above.